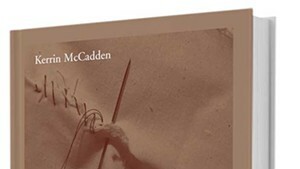 Vermont College of Fine Arts announced this morning that the winner of its first-ever Vermont Book Award is Kerrin McCadden of Plainfield for her Landscape With Plywood Silhouettes: Poems. 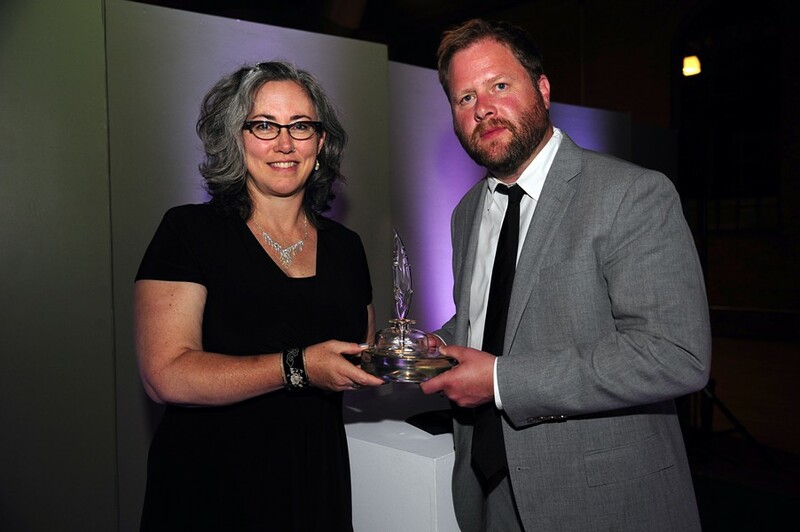 McCadden received the $5,000 award last night at a gala on VCFA's Montpelier campus. 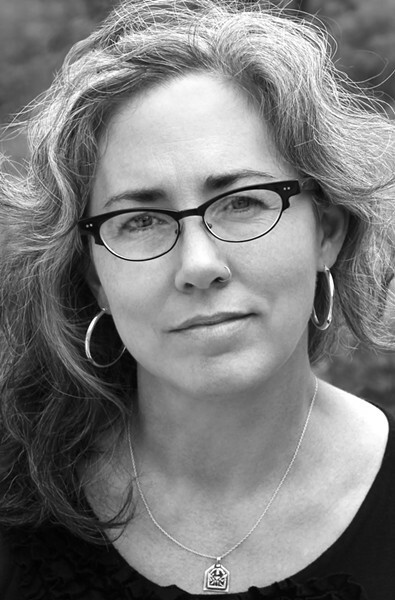 According to a VCFA press release, McCadden thanked her students at Montpelier High School in her acceptance speech, saying, "They asked me, about 10 years ago, to start taking risks with my own work like I asked them to do. If I can say anything, it’s to encourage young people to show up at the page." VCFA describes the prize as "created to honor a state uniquely suited for creative enterprise." It is awarded for a book set in Vermont, published by a Vermont press or authored by a Vermonter — and, of course, "of outstanding literary merit." 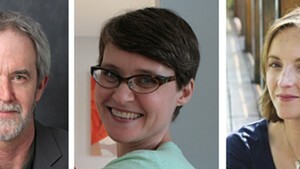 All but one of the six finalists this year were local: McCadden, Leland Kinsey of Barton, Gary Lee Miller of Montpelier, Jessica Hendry Nelson of Winooski and Dana Walrath of Underhill. New Yorker Meg Wolitzer was also nominated. Vermont artist Tyrie Brown created the Vermont Book Award trophy.